One week from now (25.5.2018) I'll be traveling to photograph Zegama-Aizkorri mountain running competition. I can't describe how excited I am! I just say, it will be huge! Zegama-Aizkorri is one of the best known mountain running competition in the world. It's located in north of Spain. My mission is to photograph Finnish runner Henri Ansio. Henri was 4th in last years World Championships, so he'll be one to watch! It's kind of crazy how runner from flat country can challenge the best mountain runners from all over the world! Can't wait to take photos as he runs in the middle of a huge crowd! Yes, there will be huge crowd even at the top of the mountain! Lately I've been really into cycling. I got a new cyclocross bike couple of months ago and it really stole my heart. I'm also huge fan of cycling photography and by that I mean more of a fashion type of photography. I like the tones and vibe that I see in "cycling fashion photography." Yesterday I wanted to try cycling photography by myself with my style. Here's what I got. I have got some new gear and I have to say I love these products! My number one computer for around 10 years have been my old Apple iMac 27". Now I felt I needed a new partner for that and I bought myself a new MacBook PRO 13". It has really good display and everything works super fast. Now it's much easier to update social media and edit all the pictures while I'm away from my iMac. Another great new product is Fujifilm X100S. It was little used when I bought this camera, but it was in excellent shape. I've been using this camera a lot! We have 8 months old son and this perfect camera to take pictures of him. X100S is also my number one choice when I go out to shoot street photography. It has great retro look and it has really good sensor and lens! 35mm lens feels really good! All the manual controls are great to use. This fall I'll be giving a presentation about my work in Hanko Fotofestival. I hope you can visit this beautiful city of Finland. Hanko Fotofestival järjestetään nejännen kerran Hangossa ja tänä syksynä olen mukana pitämässä esitelmää kuvistani. Tervetuloa katselemaan ja kuuntelemaan. Spanish landscape photography magazine El Paisaje Perfecto just published article about black and white landscape photography. I'm honored to be one of the photographers they interviewed and featured in this article. It is time to get serious about landscape photography in black and white, so we present an article in which four photographers landscapes brings their vision. David Frutos, Teemu Oksanen, Greg Russell and Juan Santos we talk about its method of work, what inspires them, the place of the black and white in their work and, ultimately, what they consider essential when photographing landscape in black and white. Besides, what better way to reflect his view that one of your pictures! And they tell us in a few words, the most significant of that image how? when? where? and more importantly why? Kamera-lehti, one of the biggest photography magazines in Finland just published 10 page article about my work! What a great start for the weekend! I hope you will also have an awesome weekend! Soon I’ll be leaving for a photography/holiday trip to Asia and I just wanted to do some gear writing. Because for me traveling with quality gear and with good preparations I will enjoy my adventures much more. Here are some essential gear I’ll be carrying with me. 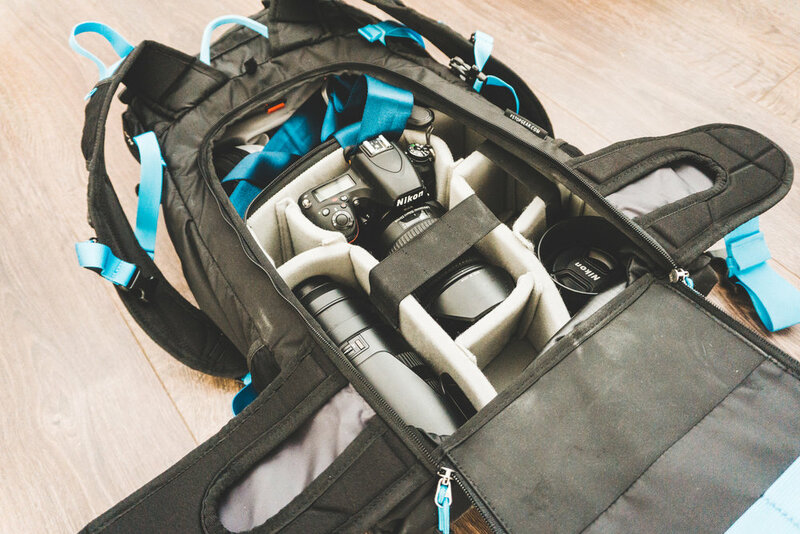 With camera gear I try use as compact kit as possible, but sturdy and versatile enough that suits with my style of photography. 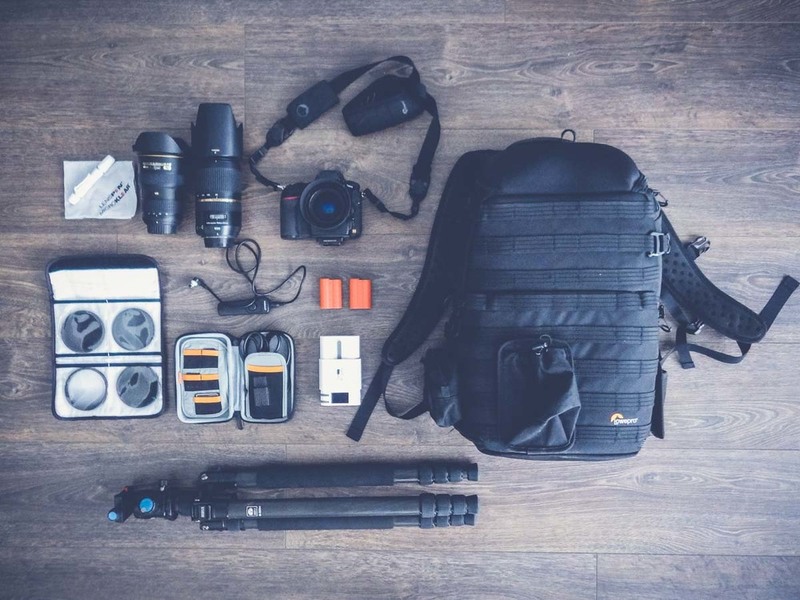 Other gear that I mention are some of my favorites and things that I wouldn’t travel without.